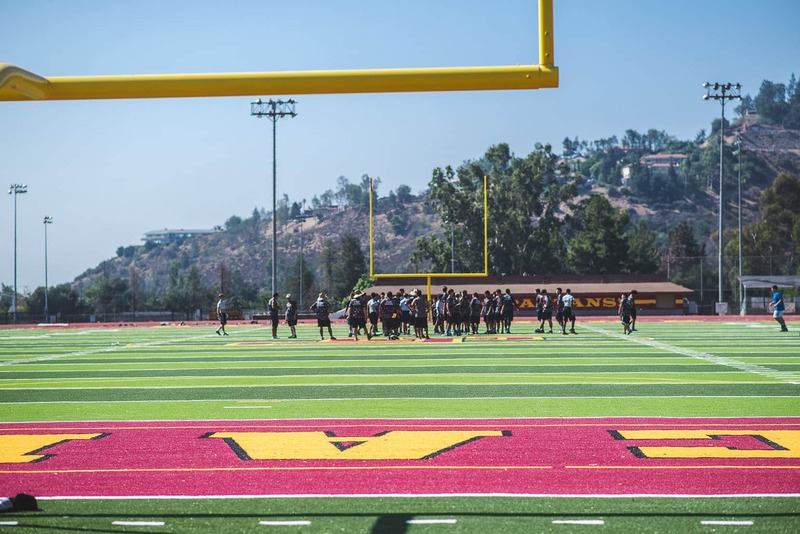 The La Cañada High School (LCHS) is recognized for its rich extracurricular activities, and strong community support. To further this reputation, LCHS selected A4E as the design architect of record to improve the performance and safety of the Track and Field. Based on a LCHS’s stakeholder concerns of athlete safety and maintenance costs, the A4E Design team held workshops with the LCHS field replacement committee to identify and recommend optimal field materials and testing equipment to improve the safety and maintenance costs of the existing Track and Field. A4E provided product samples, data driven research, and organized site visits to investigate track and field replacement options. 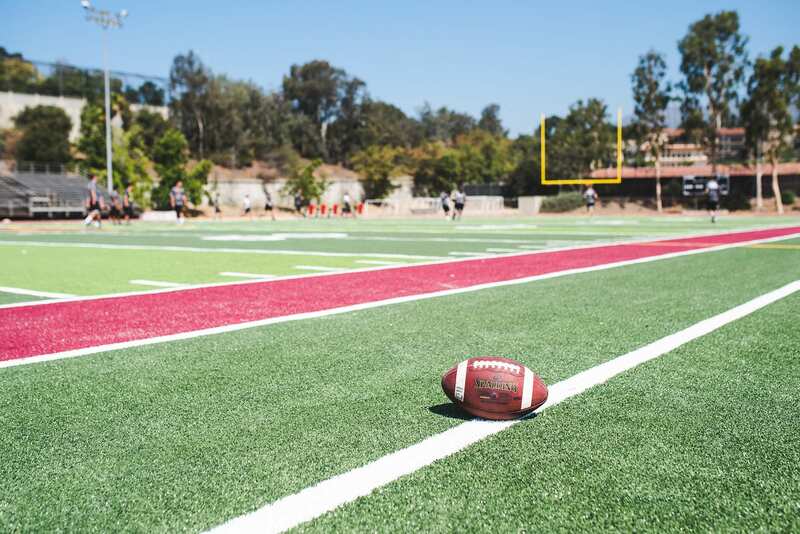 The LCHS Committee selected the Astroturf Golden Series with a water efficient zeolite infill covering a Brock 1″ shock pad and is fitted with a new Kifco watering system for maintenance and regulating the temperature of the field. The track resurfacing was completed by Beynon and includes a new red seven millimeter surface with golden relay zones. 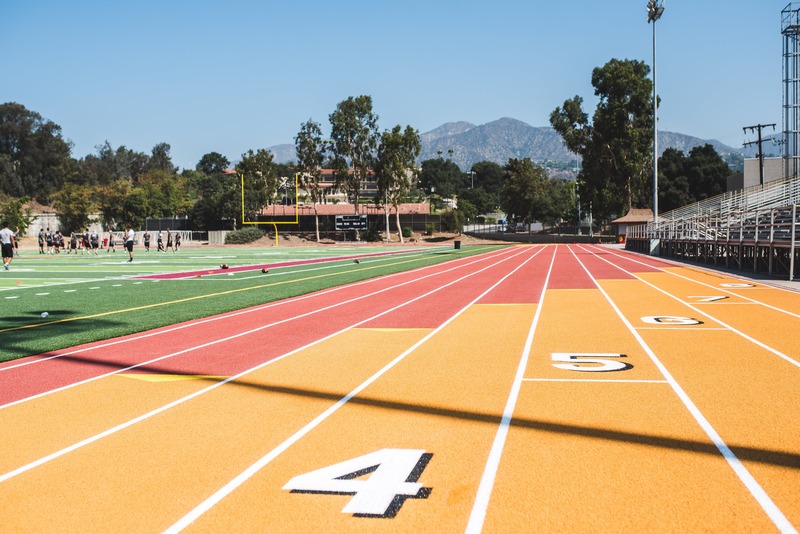 The Track and Field is available for use at all times and hosts various athletic events for the La Cañada High School Unified School District, the Los Angeles Premiere League, and the neighborhood communities.